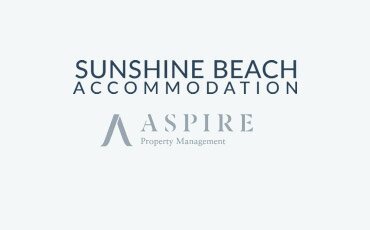 Contact our friendly team at Sunshine Beach Accommodation. We select the best accommodation choices for your holiday. All of our homes and apartments are chosen to meet our high standards of location, design and amenities. You will love the breadth of our options, ranging from family-affordable waterfront to pet-friendly accommodation. Our properties offer style, comfort and seclusion. Our service is second to none with a focus on making sure that you, our valued guest, enjoy every opportunity to make the most of your valuable holiday time away. Exceptional quality properties such as these book fast. Don't miss out - book your next holiday with us today! property in Noosa, Sunshine Beach and surrounding areas? Please contact us for a free, no-obligation appraisal of your rental property. "I can't help but to say how impressed I am with the team at Aspire. We have been returning for holidays at least twice a year since 2004. Our bookings are always dealt with swiftly and easily and I am yet to see such effective property managers as the team at Aspire."